Welaptega Marine Limited, an offshore oil and gas services company, develops underwater 3D imaging technologies. Its 3D imaging technologies inspects in-water subsea assets, such as moorings, well heads, pipelines, and risers. The company also offers chain measurement systems and rope measurement systems, as well as 2D and 3D video cameras, 3D modeling cameras, and high-resolution stills cameras. In addition, it offers tool kit, including optical and mechanical calipers that are deployed on custom-built frames to measure mooring chains, wire and fiber ropes, and other underwater components; and peripherals, which comprise underwater lighting, custom-built digital analysis computers, and software, as well as a digital video acquisition and management system for tagging and surveying survey video. The company serves small operators and service companies in the offshore oil and gas regions worldwide. 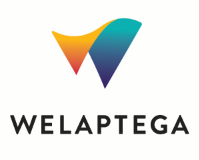 Welaptega Marine Limited was founded in 1991 and is based in Halifax, Canada with an operational base in Aberdeen, Scotland.